Unwind in one of 175 rooms at Hyatt House Orlando / International Drive, where suites with full kitchens and separate living spaces provide all the comforts of home. 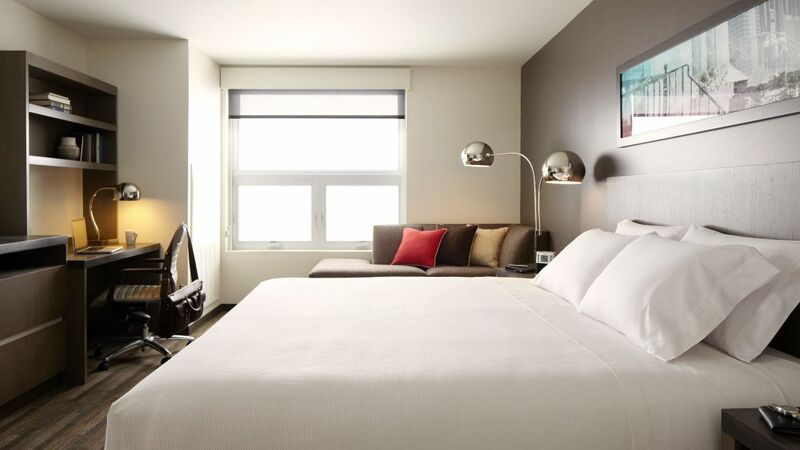 Relax in a studio-style space, or upgrade to a two bedroom suite with a living room and two king beds. After you unpack, head to Universal’s Islands of Adventure™ just two miles away. Make the most of your Orlando visit in a huge 797-square-foot suite with an accessible tub, a full kitchen, two queen beds, and a sleeper sofa. Stretch out in 472 square feet of space in this suite, which fits a full kitchen, a living room, a king bed, and a sleeper sofa. Book a 515-square-foot suite with room for four or more, featuring a full kitchen, a living room, two queen beds, and a sleeper sofa. Check into luxury with this 770-square-foot suite, with two separate bedrooms, a living room, a full kitchen, two king beds, and a sleeper sofa. 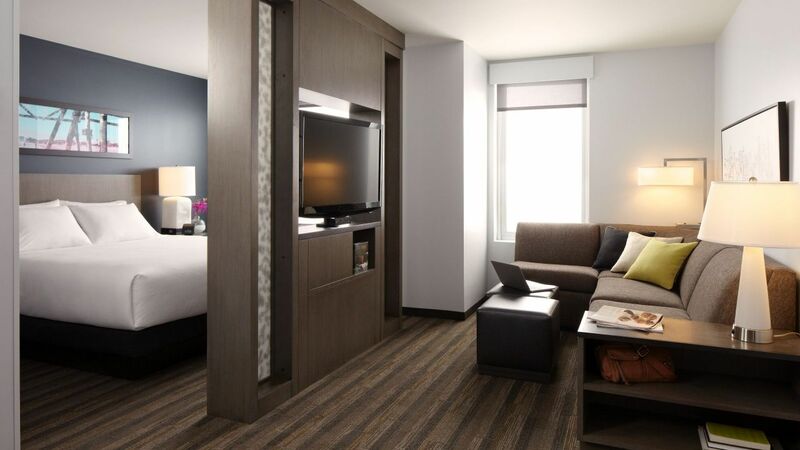 Upgrade to our largest suite to luxuriate in 962 square feet of space, including two bedrooms, a living room, a full kitchen, a king and two queen beds, and a sleeper sofa. Cook your own meals in the full kitchen within this spacious 430-square-foot suite, which includes a king bed and a sleeper sofa. Check into luxury with this 770-square-foot suite, with two separate bedrooms, accessible roll-in shower, a living room, a full kitchen, two king beds, and a sleeper sofa. 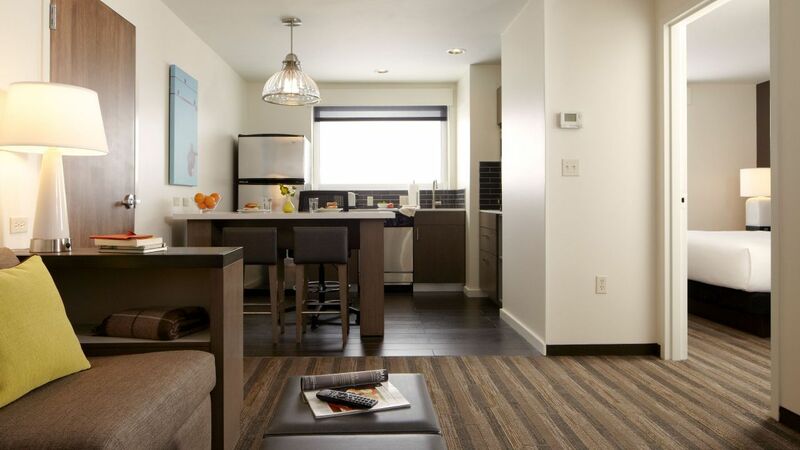 Enjoy your stay in a 499-square-foot studio space with an accessible tub, a full kitchen, a king bed, and a sleeper sofa. Spanning 379 square feet, this accessible den-style space features a roll-in shower, a separate seating area, and a king bed. Find room to relax in a residential-style space spanning 399 square feet featuring a king bed and a sleeper sofa. Make yourself at home in a 294-square-foot den-style room, with a separate seating area and a king bed.